Alexander Kluge, one of the key members of New German Cinema, made his debut with the jazzy, freewheeling, acerbic and formally experimental film Yesterday Girl that had Nouvelle Vague written all over it. 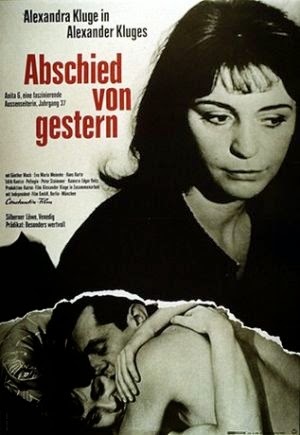 Adapted from his short story Anita G., it provided an episodic account of the tragic take of its protagonist who, upon migrating from the closed Communist space of East Germany to the flagrantly capitalist economy of West Berlin, finds it increasingly difficult to adjust to a new world that, in essence, is as impinging on her freedom to live as did her former world. Anita (played by the director’s sister Alexandra Kluge) is a derelict and a refugee who indulges in one odd job after another but rarely to any avail. Her most comfortable time turns out to be during the brief liaison she has as a mistress to a married civil servant. However, when the affair ends abruptly, she gets stuck in a labyrinthine quagmire wherein each step leads to further entanglement and downslide, and she starts indulging in petty crimes to meet ends. The poignant tale of this lost and drifting soul provided a biting satire on the presumption that the West, with its free economy and freedom of choice, is a better option by default – her messy life, glaring financial constraints, and the stifling and distrusting role of social institutions made for a blistering commentary on the afore-mentioned point of view. The dazzling B/W photography, striking usage of montages, the disjointed narrative, the deliberate digressions, and the palpably poignant, but never cloying, performance of the hapless protagonist, added up to a captivating concoction of new-age aesthetics and sharp socio-political critique reminiscent of Godard's Vivre Sa Vie. Monteiro’s provocative, personal and thoroughly brilliant ‘Comedy of Deus’ trilogy was brought to a marvelous closure with As Bodas de Deus. 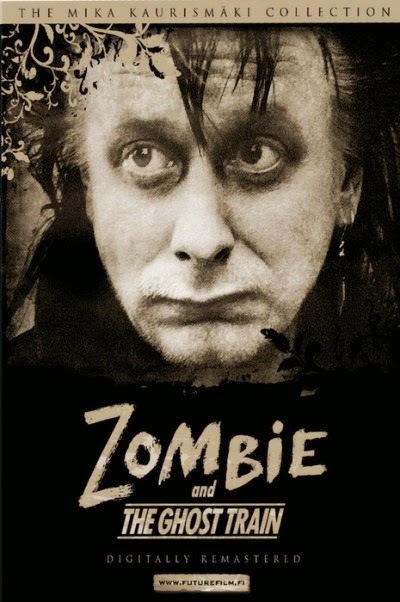 Even if it didn’t have the underlying personal melancholia of Recollections of the Yellow House or the gleeful perversity of A Comedia de Deus, in terms of sheer thematic scope and audacity, this was possibly the most ambitious of the lot. 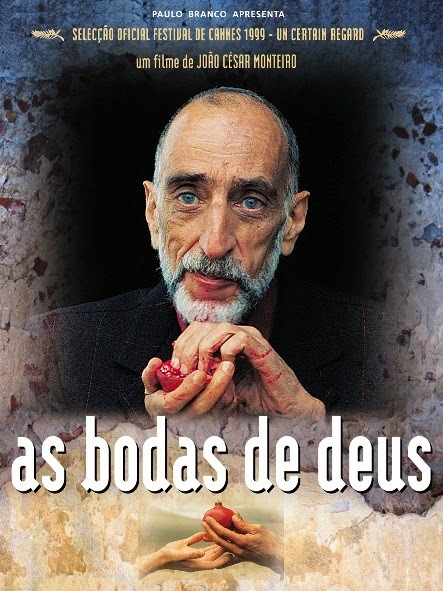 Joao de Deus (Monteiro), now a banished, broken and discarded sad old man post his disturbing meltdown with which the previous film ended, is eating a frugal lunch at a secluded park by the river when he’s visited by a mysterious man who identifies himself as a messenger of god and gifts him bags stashed with cash. And thus begins a strange journey, that smacks of déjà vu for those who’re familiar with the trilogy, wherein he reaches a stage of comfort and respectability – in this case someone for whom both luck and money are squarely on his side – only to once again touch nadir when fortune suddenly quits on him. Two parallel narrative strands played out – in an act of blind generosity, he saves a cherubic girl, installs her at a convent, and does acts of charity there even though he’s anything but a believer; meanwhile he makes the acquaintance of a wealthy Arab prince with whom he engages in an all-night game of high-stake poker, only to win everything that the suave gambling addict possesses, including his saucy and seductive wife in the final round. The film’s bone-dry humour, leisurely pacing and visual richness – it was dazzlingly photographed using exquisite single takes – provided the perfect accompaniment to its biting irreverence towards religion, authority and morality, and its deftly meditative tone. A Comédia de Deus, the dryly comic and delectably perverse second chapter in Monteiro’s ambitious, fabulously staged, and quietly personal ‘Comedy of Deus trilogy’, was thematically the most audacious of the lot in the way it pushed the boundaries of everyday morality. The title provided a cheeky interplay between the curiously named protagonist and a deliriously cosmic sense of humour that had its beginning in Recollections of the Yellow House and was further upped in As Bodas de Deus. Taking off where the last film ended, Joao de Deus is now employed as the manager of an ice-cream parlour in Lisbon courtesy the shop owner’s philanthropy. He’s become renowned for his closely guarded recipe, the profundity with which he trains the girls employed in the establishment for serving the customers, and his obsession with personal hygiene; off-work, he’s possibly the world’s greatest collector of a certain specimen that no one would ever think of inculcating as a hobby. During the course of his employment, this ageing, soft-spoken, kindly, lonely and glibly eccentric man charms a new recruit at the parlour into a tender relationship which traverses across various paradigms ranging from teacher-student to lovers. However, his fragile social order goes for a nose-dive when his barely managed self-control experiences a deeply disconcerting meltdown as he decides to seduce the pubescent daughter of the local butcher, leading to nasty consequences. The leisurely pace, aesthetics, exquisite single-takes and idiosyncratic tone were complemented by the film’s meticulous texture, degenerate world view, risque storyline and delightful sensuousness. The hilarious dance gig of the neurotic Joao as he, purportedly, teaches his fiancée to swim, made for an utterly memorable sequence and perfectly captured the film’s irreverent essence. Regarding characters created by directors and played by themselves on screen in multiple films, none match the enduring popularity and sheer brilliance of Chaplin’s The Tramp and Tati’s Monsieur Hulot. 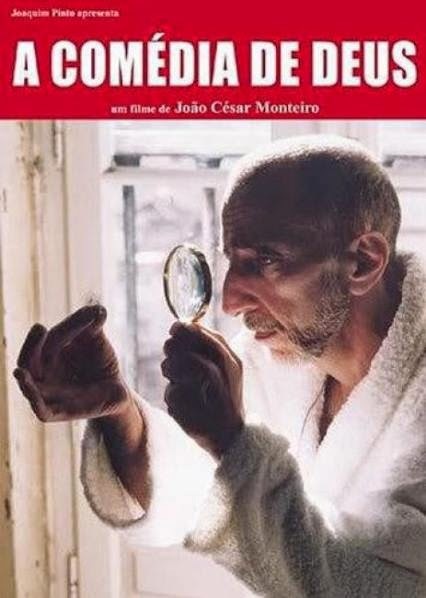 Portuguese filmmaker João César Monteiro’s ageing, gangly, chain-smoking, neurotic, soft-spoken, lascivious, kindly, amoral, fetishistic, pseudo-philosophical and self-destructive alter-ego, a quintessential ‘dirty old man’ persona, reminiscent of Woody’s self-deprecatory and semi-autobiographical portrayals, João de Deus, in his wry, quirky, darkly funny and deadpan ‘Trilogy of Deus (God)’, ought to be a contender for the above ranks despite its relative obscurity. 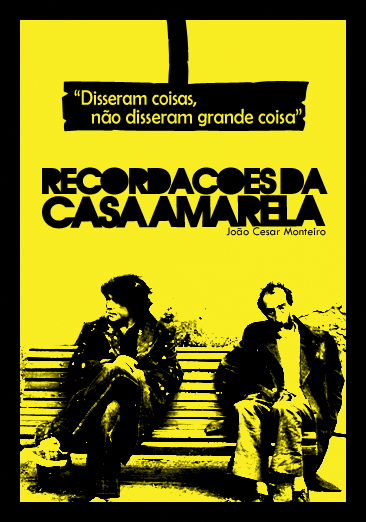 Recollections of the Yellow House, the marvelous, dryly comedic and deliciously cheeky 1st chapter of the trilogy, which also comprised of A Comédia de Deus and As Bodas de Deus, chronicled the quirky travails of the penurious protagonist residing in the titular boarding house in Lisbon. He is thoroughly besotted with the beautiful clarinet-playing daughter of his puritanical landlady Dona Violeta (Manuelade Freiras) and surreptitiously fetishizes on her, his loins are constantly under attack by the bedbugs but Dona refuses to accept his complaints, he becomes engaged in an unemotional relationship with a sad prostitute looking for solace, and when the object of his desire dies while getting an abortion, he experiences a rather ludicrous psychological meltdown leading to incarceration. Monteiro resorted to very long takes, stretches of silence and the idiosyncratic interactions between the characters, to delectably capture the seedy physical environs and the lonely, vacillating and degenerate old man’s complex psyche with a deviant sense of aesthete; the end result, hence, was in equal measures mordant and poignant.